Work has started on the restoration of the Hallock-McMillan Building. 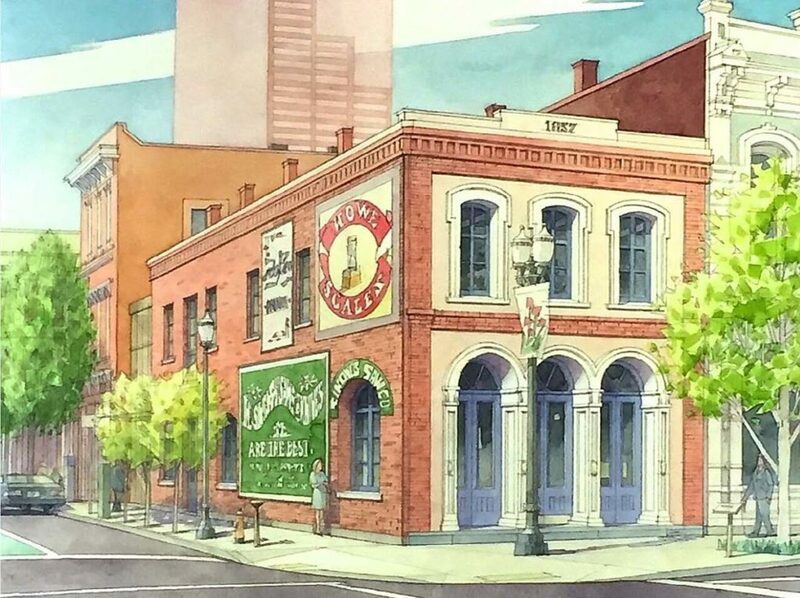 Design work for the restoration is being led by Emerick Architects, for building owner Russell Fellows Properties. 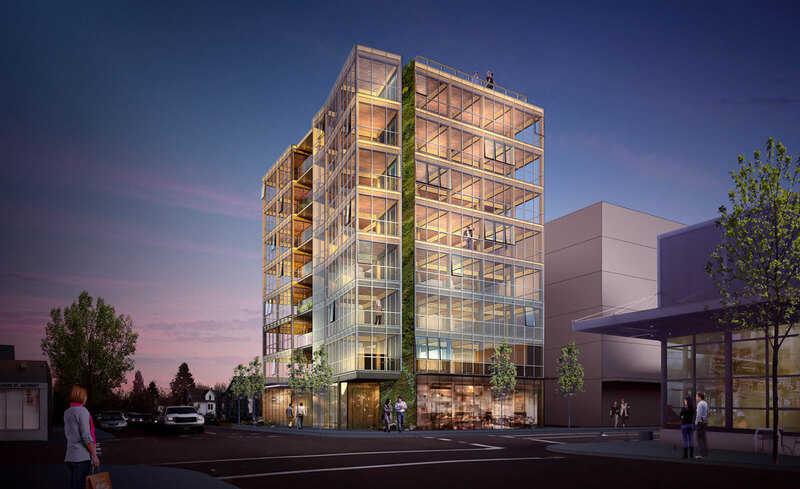 The Willamette Week reported that months after completion the Beatrice Morrow, an affordable housing development on NE MLK, was mostly empty despite applications from more than 1,500 people. Portland Architecture spoke to Surround Architecture’s Mark VanderZanden and Ennismore’s Chris Stringfellow about how the old Grove Hotel became The Hoxton. A groundbreaking ceremony was held for the Oregon Harbor of Hope homeless shelter and navigation center, reports the Portland Tribune. This is an updated version of a post originally published on November 12th 2015. A major expansion and remodel of Old Town’s Grove Hotel is under construction. 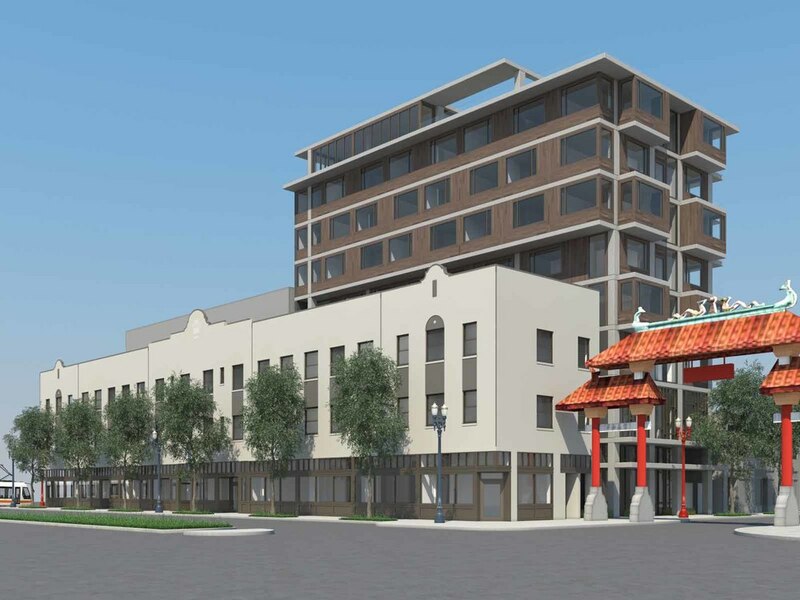 The project will include the renovation and seismic upgrade of the existing building fronting onto W Burnside, as well as the construction of a new 99′ tall tower to replace the existing theater addition. The addition will have the lobby and main entrance to the hotel at the ground level, and a rooftop restaurant at the 9th floor. 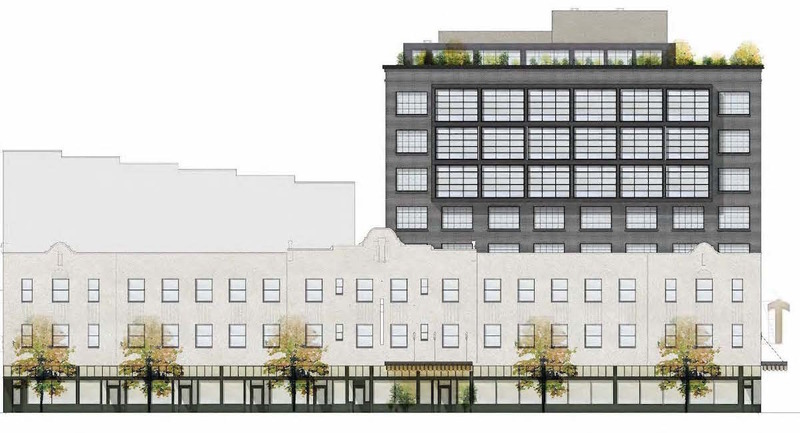 New retail spaces would be created on the ground level of the original building, and a basement level “speakeasy” will be accessed from NW 5th Ave. No new vehicular parking is proposed. The architectural design is by Portland based Surround Architecture with New York based Studio Tack acting as design consultants. The Historic Landmarks Commission has reviewed designs for the renovation and expansion of the Grove Hotel. 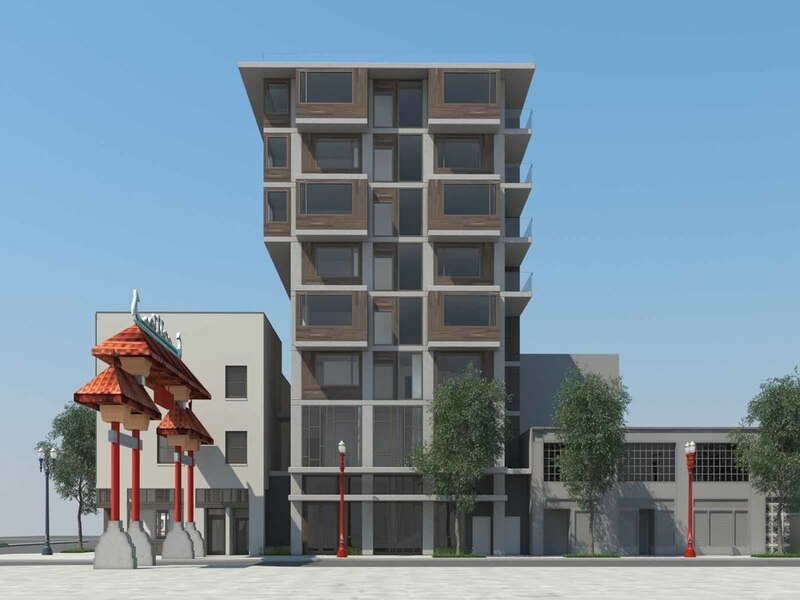 The project will include the renovation and seismic upgrade of the existing building fronting onto W Burnside, as well as the construction of a new 99′ tall tower to replace the existing theater addition. The addition would have the lobby and main entrance to the hotel at the ground level, and a rooftop restaurant at the 9th floor. New retail spaces would be created on the ground level of the original building, and a basement level “speakeasy” will be accessed from NW 5th Ave. The architectural design is by Portland based Surround Architecture with New York based Studio Tack acting as design consultants. 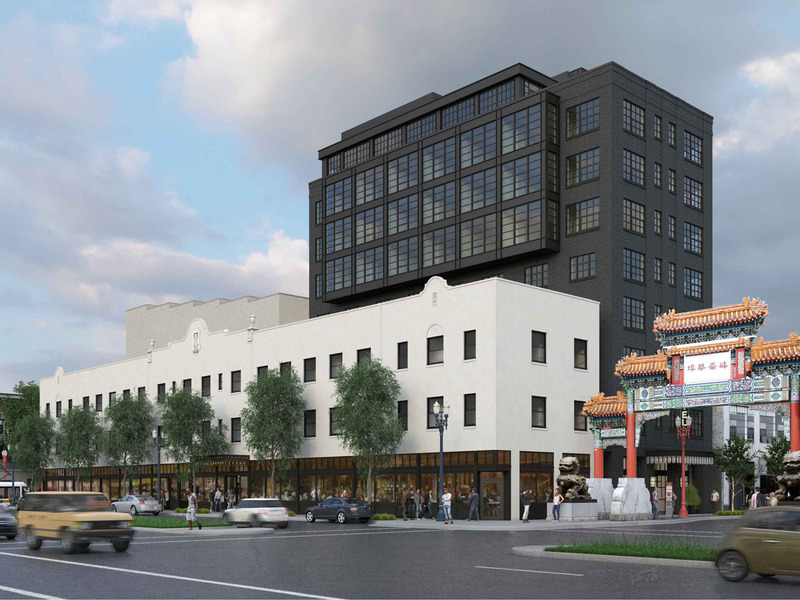 The Historic Landmarks Commission has offered Design Advice to for renovation and expansion of the Grove Hotel on W Burnside Street. 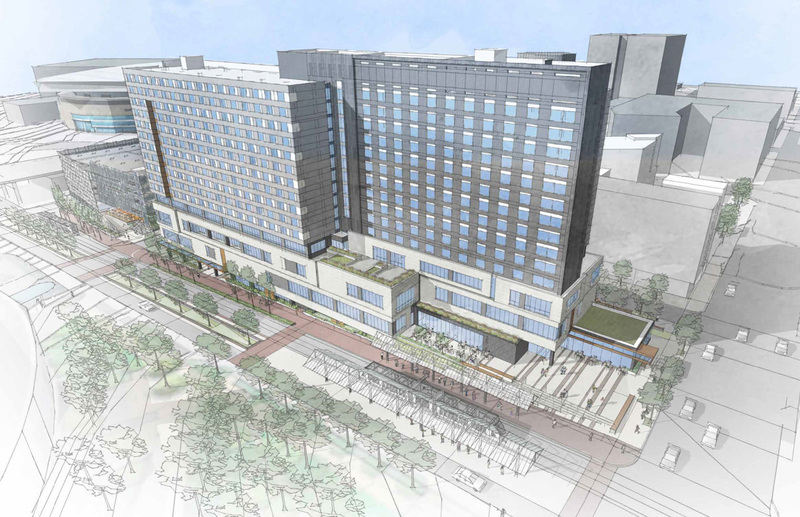 Since the end of its use as a single room occupancy hotel in 2010 the Portland Development Commission has attempted to developer interested in renovating the building. In May of 2014 a team that includes Naito Development and Eagle Point Hotel Partners was chosen to develop the building as a boutique hotel. The architectural design is by Portland based Surround Architecture with New York based Studio Tack acting as design consultants. The first images of the Grove Hotel project have been published on the website of Surround Architecture. (H/T to urbanlife on SkyscraperPage for finding these.) 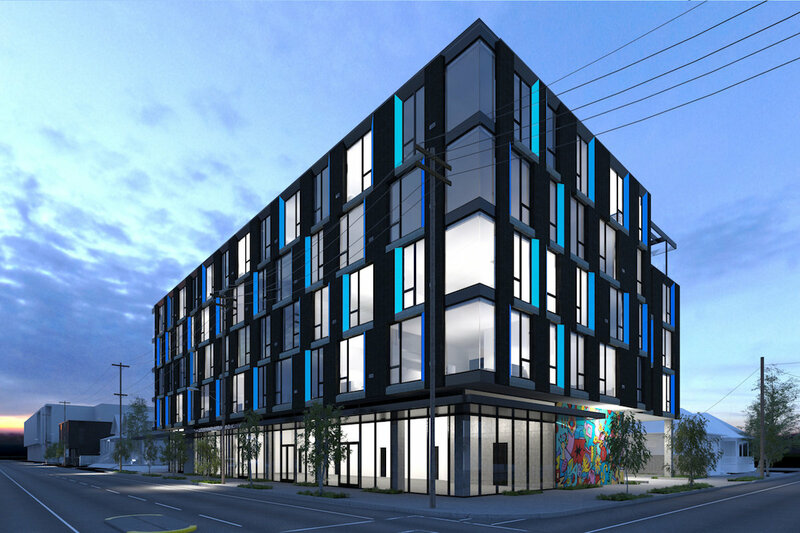 We reported this morning that the architects have requested a Pre-Application Conference to discuss the renovation of the building facing West Burnside St, and construction of a new 9-story, 63,000 square-foot building to replace the building facing NW 4th Avenue.